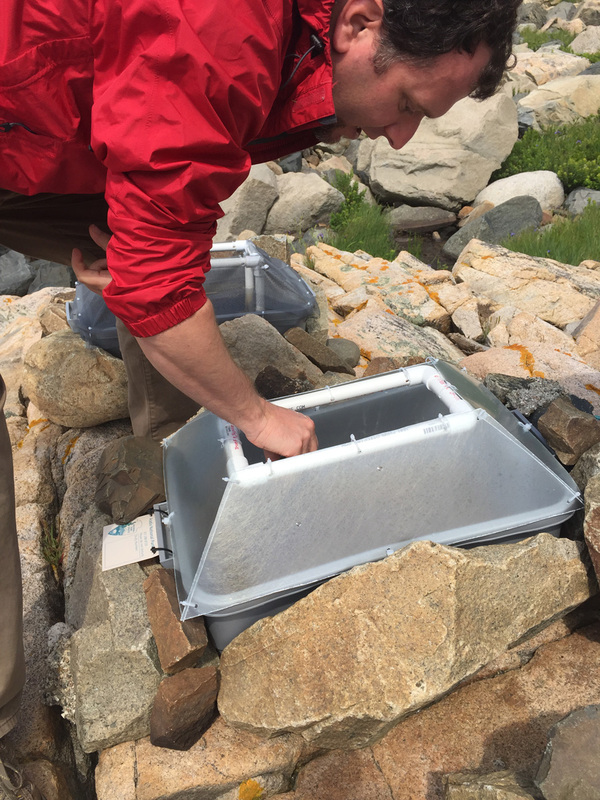 One of the biggest questions facing park managers is how a changing climate affects vegetation and wildlife. 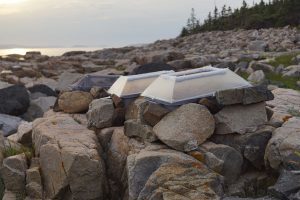 Will species move around and find new habitat within the park, or will populations die and be replaced by a few new species that can better tolerate the changed conditions? 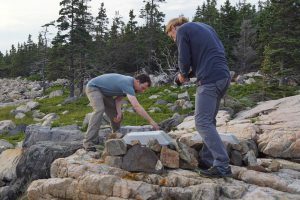 This is a hard question to study across the entire park, or for any individual species. 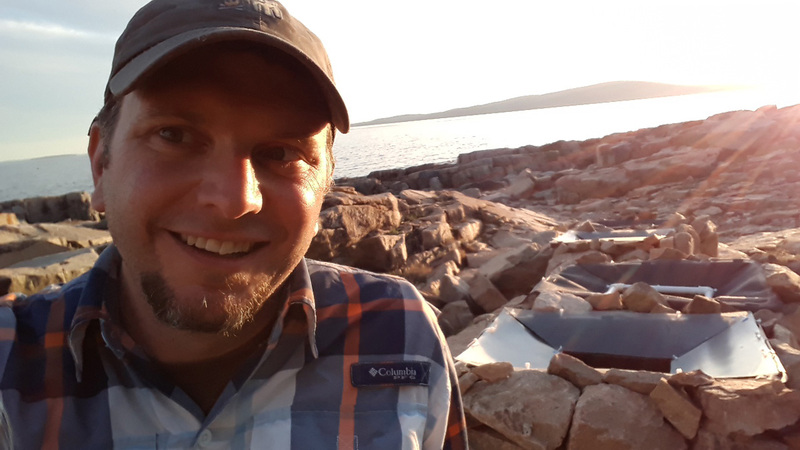 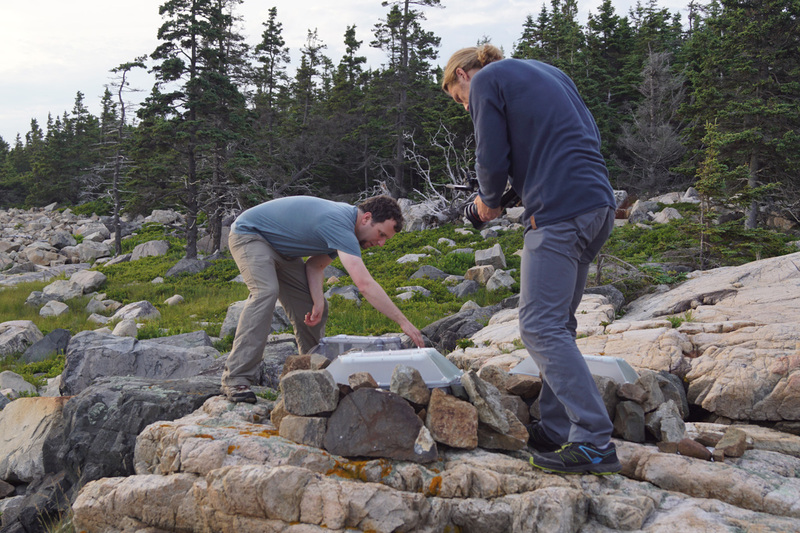 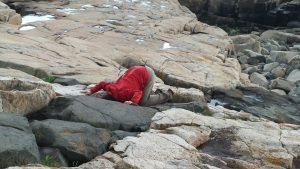 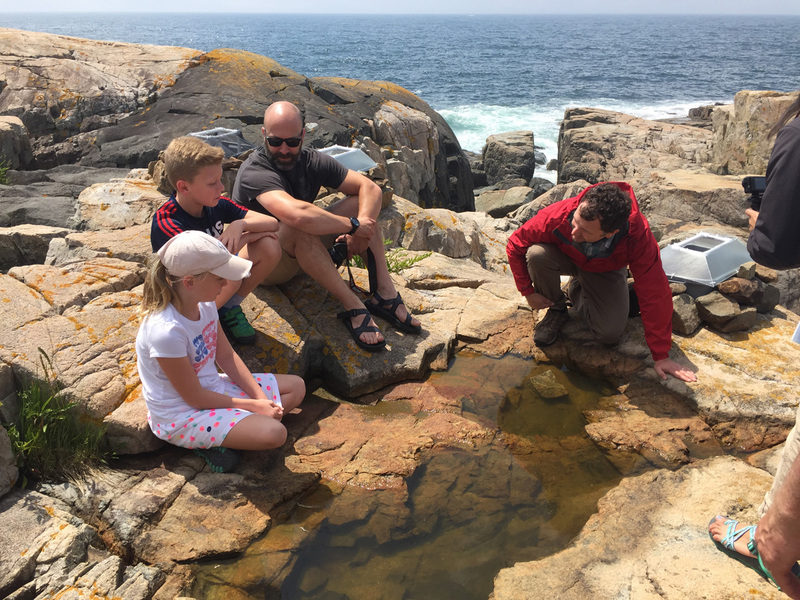 Chris Nadeau, a wildlife biologist earning his Ph.D. at the University of Connecticut, thinks that the pools of water that form in the rocks of Schoodic Point might contain some answers. “The puddles are often just written off as mosquito breeding grounds, but they’re actually teeming with all kinds of really cool life,” he said. For the last three years, he has spent countless hours on his hands and knees staring into those puddles. 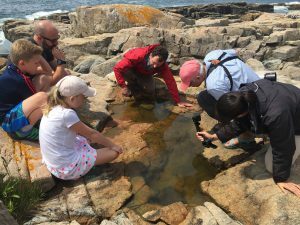 His survey of more than 160 rock pools, the first of its kind on Schoodic Point, documented 20 different animal species, including an abundance of Daphnia magma. 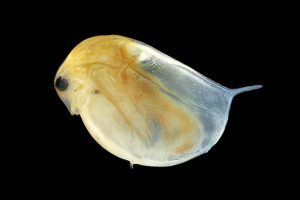 This tiny water flea is common elsewhere in the world, but in the eastern United States has been found nowhere else but Acadia. 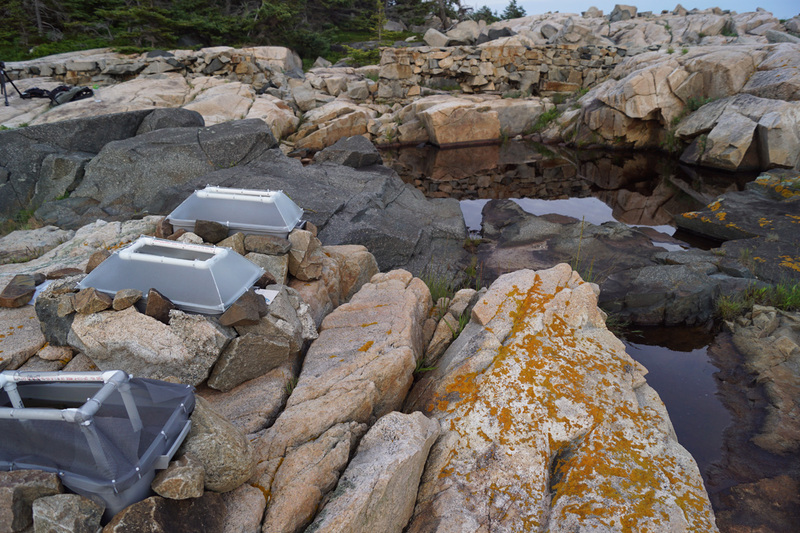 Nadeau is now working to predict how climate change will affect life in these pools, an endeavor that is relevant to the entire park. 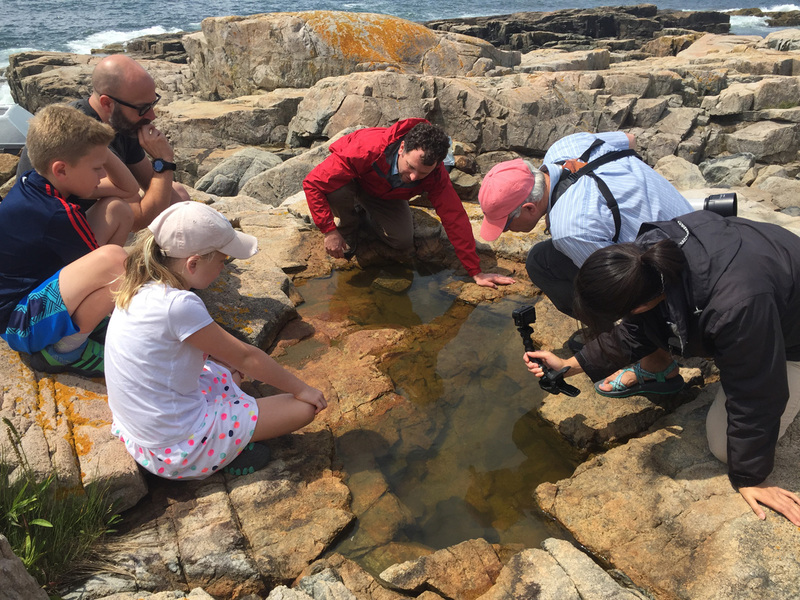 According to Nadeau, the simplicity of rock pools makes them a fantastic tool for finding important details about how species will be affected by climate change, details that can’t be understood in more complex ecosystems in the park. “So, what we learn from rock pools could help improve monitoring and management strategies in other ecosystems throughout the park,” he said. For example, Daphnia currently living in warmer pools seem to be able to withstand higher temperatures, leading Nadeau to suggest that protecting warm locations in the park might help protect individuals that are most resilient to climate change. Rather than wait for climate change to occur to test these predictions, Nadeau simulated future climate at Schoodic Point by setting up artificial pools (plastic tubs) and cranking up the heat (putting a greenhouse on the tub), and compared species survival in the “future” pools with nearby natural pools. 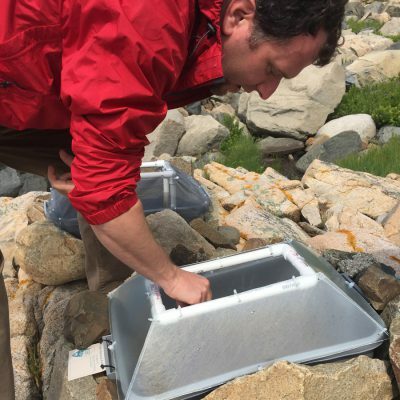 The results are verifying whether the methods he used to predict how species will respond to climate change are accurate.